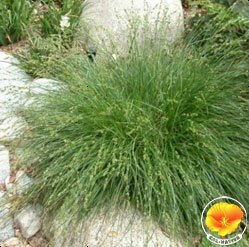 A fast growing vibrant green clumping sedge to 2' tall and wide. Widely adaptable, can be planted in wet soil or arid soil, tolerates sun to partial shade and can be drought tolerant. Tan to brown flowers show in spring.